Ryan Yelle is a New York licensed physical therapist at Professional Physical Therapy. After graduating from Ithaca College with bachelor’s in Clinical Science, Ryan went on to receive his master’s and doctorate of Physical Therapy at Ithaca College. Ryan has been practicing for 8 years and specializes in shoulder, hip, and knee pathologies, golf fitness and performance enhancement. Ryan has certifications in TPI Certified – Level I and Board Certified Orthopadeic Certified Specialist and is also a member of the APTA. Helen Turner is a New York licensed physical therapist at Professional Physical Therapy. After graduating from Elon University with a bachelor’s in Exercise and Sport Science / Psychology, Helen went on to receive her Doctorate of Physical Therapy at Columbia Unviersity. Helen has been practicing for 4 years and specializes in General Orthopedics with specific interest in knee and shoulder patholgies. Helen has certifications in CPR/AED/First Aide Certified, American Physical Therapy Association Certified Clinical Instructor and is also a member of American Physical Therapy Association Sports and Orthopedics. Benjamin Smit is a New York licensed physical therapist at Professional Physical Therapy. After graduating from the University of Maryland College Park with a bachelor’s in Kinesiology, Benjamin went on to receive his Doctorate of Physical Therapy at University of Miami Miller School of Medicine. Benjamin has been practicing for 1 year and specializes in Orthopaedics, Return to sports, strength training, posture/ergonomics, and running/gait analysis. 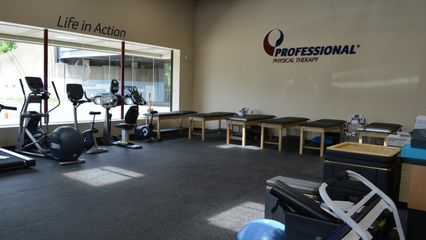 Benjamin is a Certified Strength and Conditioning Specialist (CSCS) is also a member of the APTA and Orthopaedics.